I have been watching back videos of Micah Hanks and Jim Harold’s The Paranormal Report and came across this very interesting issue of the report. At the beginning of the show, Messrs. Hanks and Harold discuss a New Mexico ‘ghost’ sighting and Mr. Hanks brings up the subject of cloaking or invisibility technology as an “out of the box” explanation for the phenomenon they are discussing. Later in the show, at about the 26:00 mark, the duo carry a story on a cloaking technology experiment from the University of Rochester. I was intrigued by this idea and especially by Mr. Hank’s allusion to metamaterials so I did a web scan and came across this eye opening article. In the article, the writer notes that the breakthrough he is discussing would make the manufacture of these metamaterials, which can basically bend light around an object, practical on a much larger scale than would have been practical before. It might be possible, in the very near future, to manufacture enough of this material to hide large objects (the example being a tank or aircraft). Now, this is information in the public domain and readily available to anyone who goes looking for it. I have read, on more than one occassion and from more than one source, the idea that the governments of the world, and especially the US, with their vast resources and facilities, have tech that is at least 20 and sometimes 40 years from being ‘discovered’ in the public domain. For the oft cited reasons of national security, these technical advances are highly secret. As my regular readers know, I am no conspiracy theorist. I do not believe in secret cabals running the world from the shadows and I find the idea that our Reptilian overlords are shape-shifting into world leaders so that they may more easily govern us laughable and paranoid. I am, however, convinced of Arthur C Clarke’s adage that any sufficiently advanced technology will appear to be magic to those who are not as technically advanced. In the case of the New Mexico ‘ghost’, explored in the aforementioned TPR episode, police in New Mexico have a very compelling video of a figure making its way across a locked impound yard. The figure is definitely humanoid in appearance but translucent. Honestly, I am not sure what is on the video but I doubt that it is a person with some sort of cloaking tech engaged; the theory of invisibility tech is that one bends rays of light around the ‘cloaked’ object. The figure in the video appears to have light going right through it and it seems to move freely through locked fences and the like. A cloaked person would not be able to do that . . . the cloak is still covering a physical object that has to respond to the laws of physics. While the New Mexico ‘ghost’ may not be a cloaked person, investigators of strange phenomenon are constantly running across stories where the witness encounters something but they can not see it. They have ‘the feeling’, they know that someone or something is there but their visual sense tells them nothing or, even more eery, gives them only the vague outline of what they are facing. I have even seen some reports where the witness described the entity as being like the scenes in the movie ‘Predator’ in which the alien hunter is cloaked and only slightly visible when it is moving. Now, given my magical leanings, I freely admit that I lean toward the spirit hypothesis. I do not, for a moment, believe that every ghost hunter who feels a presence in a room is encountering a cloaked government agent playing tricks on him or her. I do, however, think that we need to slot this idea into our bag of hypotheses when looking at witness reports. I believe that it particularly behooves us to bring these ideas to the table when such reports occur out in open wild spaces, particularly if they are in proximity to military or government facilities/land. Think of all the supposed Sasquatch reports where the witness never actually sees the creature but instead has the feeling of being shadowed in the woods, for example. They do not see anything but they know something is following them. In addition, we can consider places like Skinwalker Ranch where Predator style ‘cloaked’ beings have been reported. It is entirely possible that witnesses could be blundering into experimentation and testing of cloaking technologies or could actually be targets of such experimentation. We know from sad experience that very secretive operations sometimes operate according to their own set of ethics. Again, I am not proposing that all such witness reports can be explained by this type of technological advance but we do need to consider that, given what we already know about cloaking and understanding that high resource agencies like the US military have a vested interest in such technology, there is very real possibility that a form of invisibility technology may be available, at least in the prototype stages. We also have to consider that it would be in the developing agencies best interests not to share this secret since opposing forces would quickly begin to develop counter-measures if they knew for certain that cloaking was a threat. I once asked a meditation teacher why Tibetan Buddhists had so many different visualizations and styles of meditation. He smiled and responded that each technique was an arrow in the quiver and that the more arrows one had, the greater the chance of reaching realization or enlightenment. 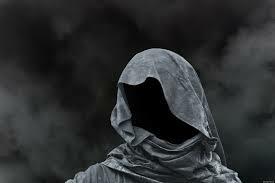 I think that this idea of cloaking is yet another arrow in the quiver of the paranormal investigator. We even have the good fortune to have an original picture of the taxidermy mount made from the creature’s body once it was killed (see picture above). One would think that this mystery could be easily solved by modern DNA analysis but, for reasons all his own, the individual who currently has possession of the taxidermy mount refuses to have the specimen tested. That fact, in and of itself, makes me want to cry hoax but that would be the skepdebunker way out. As Jack Kirby, the current holder of the taxidermy mount says in the linked newspaper article, “Do we want to know?” Frankly, Mr. Kirby, I would love to know but I somewhat understand the reluctance to end a mystery that has run in the family for generations. Chances are good that this creature is simply a wolf terribly mutated by unknown environmental factors and forced to killing livestock since it could not keep up with a pack. Because it is a mystery, though, we have a huge ‘what if’ to look at . . . what if the DNA testing showed that this was not a known animal? Well known cryptozoologist, Loren Coleman, suggests that the animal is related to what the Ioway Natives called a shunka warak’in which he says is translated “carries off dogs”. Others have suggested that the beast might be a prehistoric mammal such as a hyaenodon, dire wolf, member of the subfamily Borophaginae (hyena-like dogs) or Chasmoporthetes (the only true American hyenas) (source: Wikipedia). I note a distinct resemblance to pictures and descriptions of the Beast of Gevaudan, a hyena-like animal that is said to have killed over a hundred people in the countryside near Gevaudan, France between 1764 and 1767. If the critter were seen on a ranch in Texas these days, it would likely be labelled a chupacabra – especially since it seems to have an appetite for livestock. A skepdebunker would immediately begin scouring the records for a train wreck in which animals, specifically a captive hyena, escaped. My point in the above is that we can theorize until the cows come home (if you will pardon the ranch referent). The creature depicted may be any of the above, including a badly mutated wolf, or none of them. It is a mystery and one that will not be solved until DNA analysis is done on the specimen. What I find interesting about this case though is that, in all the theorizing, just as with Sasquatch, the local indigenous tribe, which even has a name for creatures of this sort, is basically ignored. Loren Coleman and his writing partner Jerome Clark mention the shunka warak’in in their write up of the mystery but I wonder what would happen if some intrepid field investigator actually went and asked the local indigenous people about this creature? My bet is that one of three things might happen if the researcher made a polite request. The researcher might get the “smile and pretend you do not understand” stone wall that Native people frequently give to outsiders. The researcher might be referred to the local tracker who could, if he or she chose, tell them about the creature and what was known of its habits, as well as providing cautions if the researcher decided to go out in the field looking for the animal. Finally, the researcher might be referred to the local medicine person who might give a completely different set of cautions, should the researcher still wish to pursue the investigation. The important concept here is that, by checking in with the people who have lived on and with the land for generations, a researcher might begin to parse out whether he or she was dealing with a physical animal or a creature that makes periodic appearances from the Otherworld. It seems to me that this sort of approach, instead of viewing all Native input as quaint legends, might actually yield clues that the investigator could use to further their query into the mystery animal (or whatever it is that they are tracking). It is all well and good to dig through the scientific annals looking for possible explanations for a cryptid sighting/encounter and there is certainly a place for such research in cryptozoology. If it were not for the fossil record, we would not have been able to identify the coelacanth when it was pulled from the waters in the early 1900’s (if memory serves). I think, however, that it behooves any investigator of Fortean, paranormal or cryptozoological phenomenon to check in with the people who have had ‘boots on the ground’ in an area for a long time. I started to write an article about yet another Fortean writer trying to drum up some business by offering some sensationalist tidbits related to a past book. I understand that these folks are trying to make a living and that self-promotion is the name of that game but, honestly, I get a little tired of reading and hearing re-hashed material from people who promote themselves as genuine field researchers. If these writers are really spending as much time in the field as they say they are, then why am I hearing the same stories from them? Methinks that, with some of the writers in this field, it is time to put away the computer and go out to find some new witnesses and explore some new places. But enough about that little pet peeve. There are plenty of writers in this field who are out looking at new things. What I really wanted to do today is give my readers a little update on my ongoing spiritual quest. A little background: about two years ago, I had a peculiar experience of a morning while hovering in that place between waking and sleeping. During this experience, a spirit appeared to me, unbidden and unexplained, cloaked in fire and smoke and asked me one question – what do you really want? I was a little taken aback. My life is reasonably stable and it was at that time but that single question set me thinking about what I really wanted and I discovered that I was profoundly dis-satisfied with my spiritual life. So, as I have been writing this blog for you, over the past couple of years, I have also been going through the experience of being stripped down to the core essence of my belief system. My recent trip to Japan was a tipping point. During that trip, I experienced a culture where the spirits of the ancestors and of the land are an intimate part of people’s lives and, even though some of the younger generation seems to be losing that, I still found enough of that veneration to really have a strong effect on me. I noted the reverence with which the trees and plants were tended at the grave site for the 47 Loyal Samurai of Ako and contrasted that with how such a site would have been ‘maintained’ here. I came back from Japan with a strong desire to serve and revere the spirits as the Japanese did. I started with the spirits that I know are always with me – the ancestors – and began a simple ritual of inviting my ancestors, of blood and spirit, into my life, of making a small offering to them and of asking for their protection and guidance as I sought my place in the world of spirit. I firmly believe that this guidance has been subtly forthcoming, not in dazzling revelation but more as a quiet ‘push’ every now and then to look into something. A while back, when doing some research on Vodou (Voodoo to some), I had an opportunity to chat by email with Mambo Vye Zo Komande La Menfo, an American who has immersed herself in Vodou and has actually been initiated to the highest level of their priesthood. As I considered how to establish an even better relationship with the ancestors and what my next steps might be, I got one of those gentle pushes to re-contact her and, long story short, I ended up in one of the Sosyete Du Marche’s Four Circles classes on the Ancestors and the basics of Vodou practice. The idea here is that you don’t go looking for spirits – you already have plenty of your own to work with. To adopt a spirit because you like them is to insult those who choose to be here with you. And that adopted one may not care about you at best or, at worst, turn and do something you won’t appreciate. 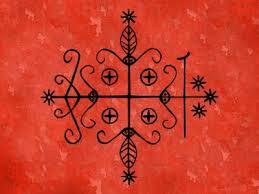 These (the Lwa of Vodou) are not forgotten and remembered energies. They are sentient beings, alive and vibrant. Let’s not insult them by treating them as party favors, to be picked up one day and discarded the next as we flit from path to path. Commit to learning about and from them, and they will return the gift tenfold. Ignore them at your peril, for they will turn their back and deal with you accordingly . . .
Vodou actually teaches that we are born with a constellation of spirits that are willing and able to work with us, beginning with the Met Tet (somewhat analogous to a guardian angel) and the spirits that are associated with that spirit as well as the innumerable ancestral spirits that are a part of our blood line. Our job, as human beings, is to serve those spirits, that is, to develop a relationship with them through a process of offering and prayer (which is, as likely as not, done with song and dance). I find this idea strangely compelling. 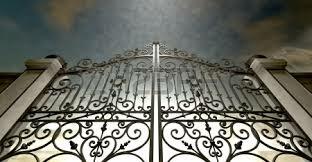 I have an intuitive agreement that there are those spirits who are attached to me and, frankly, I have done a poor job of serving them to this point. I hope to remedy that deficiency as I go along and learn more about the spirits that walk with me. It will be an adventure and I will share my discoveries with you as I go along.